When doing business online, it matters that entrepreneurs and companies use the right domain name and extension. This way, you can be found easily and gain more followers and customers onward. A domain name should properly represent your business and thus, should be chosen carefully. Remember it is your identity on the internet hence, it needs to be well-researched to fit your business. With more than 850 million active websites currently in existence online, the competition to get the best domain name is tighter than ever. So where do you start? Here are some useful tips you can follow. The very first step you need to take is to do some research online. 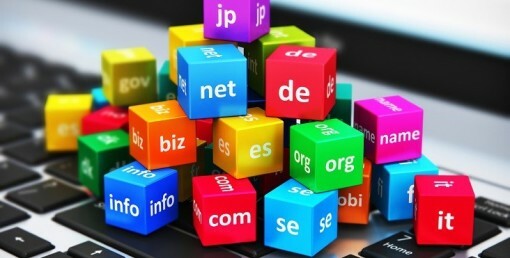 This is to ensure that you don’t create a duplicate domain name and you have an idea of what domain names are popular. With the millions of websites active on the web right now, there’s a probability that the name you plan to use might already be taken. Keep in mind that domain names are trademarked and copyrighted. When creating a domain name for your business, choose a short and simple one but avoid using slang words such as u instead of you and xpress instead of express. This would make it fast and easy for people to remember and find your website. Once you have created a few names, you can test it through your friends to find out if they sound catchy and appealing. Do avoid using numbers and hyphens as they can be misunderstood or will cause confusion among your followers. It would be better, though, to include the area such as city or state where you operate. Do include keywords to your domain name as much as possible to improve your search ranking. They should be those that aptly describes your business and the products or services you provide. Think of keywords that people use when searching for your products or services. You can even use various free online tools to check the popularity of keywords related to your business. Take note that tens of thousands of new domain names are registered every day and this includes more than 300 domain name extensions from A to Z. As such, business owners should decide on using the best one. Currently, some 52 percent of all websites are using the .com extension. Depending on the nature of your business or website, you can choose from various extensions. The .co extension is ideal for companies, commerce and communities while .biz is for business or commercial sites including e-commerce sites. Technical and internet infrastructure sites can use .net and those that are focused on providing information can use the .info extension.